Out of all the places to visit in South East Asia, you have quite the challenge deciding where to go. For our volunteers living in Thailand, vacation days means splitting time between the beaches in Thailand or adventuring in countries like Cambodia or the island of Bali. Tough life, right? Love the idea of living in Thailand and traveling around? We thought so: see what volunteering in Thailand is all about. Another huge pick I’m completely partial to? The city of Hanoi, Vietnam. One of the biggest pulls of coming to Hanoi: all of the shopping. It’s a popular place for shopping — you can get coats, bags, and other gear for a lot less if you haggle down the prices. One of the prime places to get all of this done is at the Night Market. The long Hang Dao Road is closed to vehicular traffic for the most part so hundreds of vendors can set up shop. Like most Asian night markets, you can find snacks like dried fruit, juices, rolled ice cream, bbq skewers, dumplings, fruit when it comes to food, but you’ll see everything from shoes, socks, tee shirts, dresses, sunglasses, headbands, blanket scarves, name brand backpacks, sport duffel bags from brands you’ll recognize, and other souvenirs like artworks or woven tapestries. It’s a crazy fun part of the Vietnamese experience. 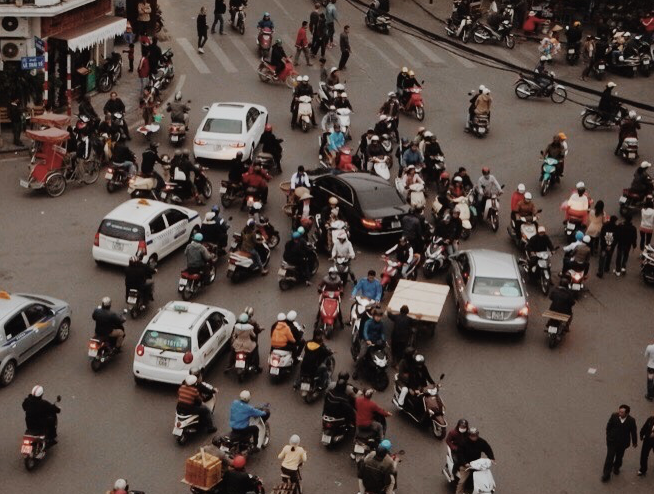 The traffic in Hanoi is insanity: a maze of buses, vans, pedestrians, and motorbikes threading their way through the streets is something to really take in. You’ll get the hang of walking around this city after a bit of practice (the key is to walk at a consistent and predictable pace so the cars and motor scooters can see where you are going and move around you), but if you want to see the traffic from above, go to this Highland’s Coffee. It’s not the best place to get a drink or snack in Hanoi, but the view makes it worth it. 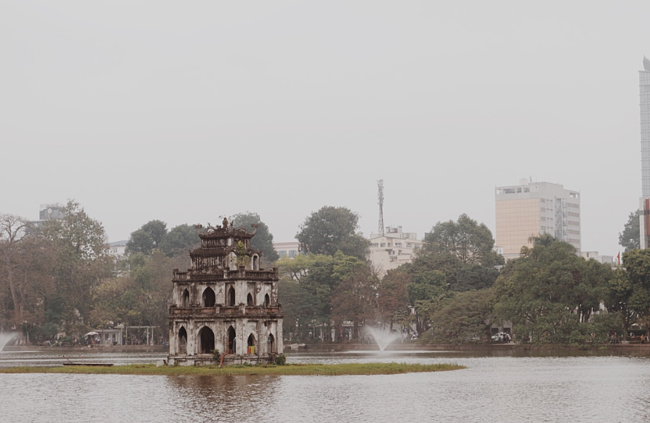 A quiet place in the city to just soak in the sites, Hoan Kiem Lake has a central location that allows most tourists and locals to visit frequently. There’s a lovely little temple structure in the middle of the lake, and a beautiful stone bridge that supports some fantastic photos. There is a temple you can visit near the edge of the lake as well, but my highlight was people watching. Visiting in the morning or evening lets you glimpse rows of people doing tai chi but we were stopped by a magician who pulled out some amazing tricks (on camera). You’ll have to turn up and see what you run into. There are also dozens of surrounding restaurants and cafes for when you want to stop for lunch. 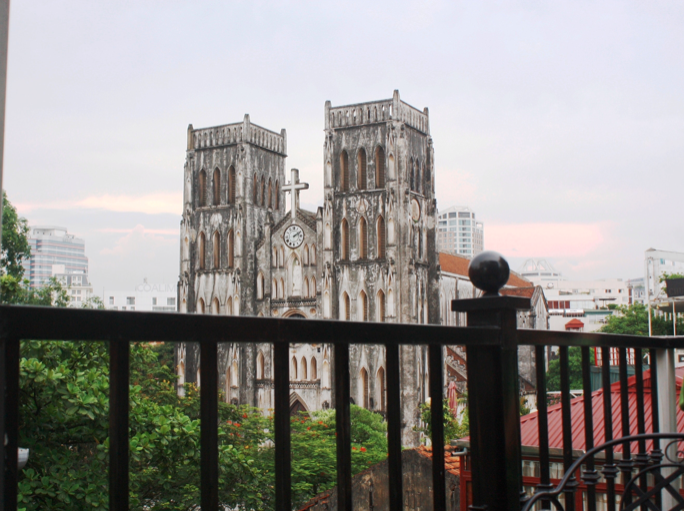 A towering catholic cathedral might seem out of place in the bustling epicenter of Hanoi, considering that the stark gothic architecture appears to belong better somewhere in Europe. Built as an homage to the famous Notre Dame in Paris, inside is hiding stark white and soaring ceilings, along with detailed artwork. Inspired by Lenin’s tomb in Moscow Russia, seeing the final resting place of Vietnam’s influential leader Ho Chi Minh is a unique opportunity to take. 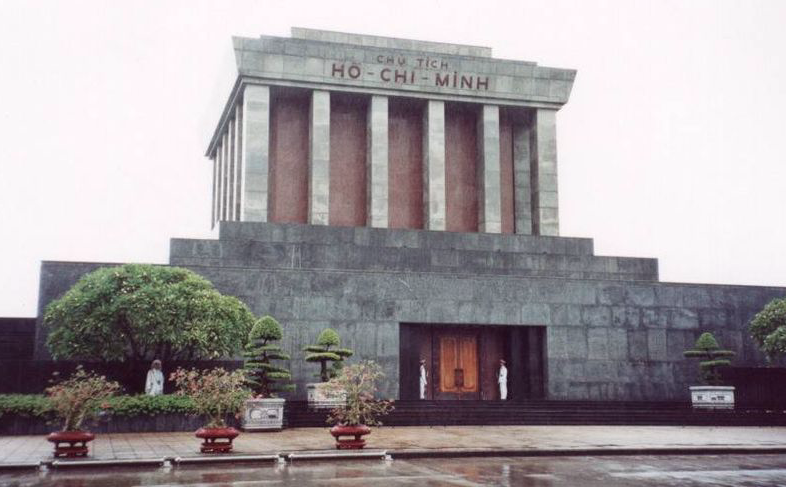 The body of the Ho Chi Minh lies under a guarded glass case; visitors wait in an organized line, must give up all phones and cameras before entering, and are guided through the building before getting a quick look at the leader before being ushered outside. Head’s up: you’ll be asked to be quiet as you approach the tomb and things like behavior and dress are strictly enforced (no mini skirts or short-shorts). There is luggage hold at the facility that’s free to use (handy if you’re visiting right before running to the airport). The lines do get very long, so best to arrive early and plan on waiting 1-2 hours. I was there a bit past 8:00, and still had to wait around 1.5 hours. Cost: Free to enter, though some areas on the surrounding grounds do charge an entrance fee if you’d like to enter. When in Vietnam, you absolutely have to have these two dishes: Beef Pho and Bahn Mi. Of course, there are tons of other local dishes that are delicious, but these are pretty non-negotiable. These buns are soft and filled with a warm filing if you catch them right out of the oven. I was partial to the coffee and chocolate flavor, but they also have vanilla and a couple of others which were divine. A thin, crackly layer is spread over the top which is kind of like frosting, but after being baked turns into a crackly and crumbly topping when you bite into it. YUM. Head’s up: They do sell out in the evenings, and it was unanimously agreed that these buns were the most delicious right out of the oven, so it’s worth hanging around for 15 minutes while a new batch bakes. 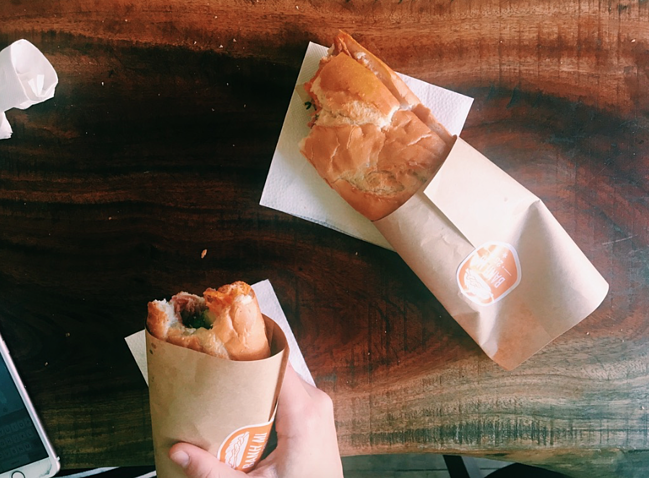 My favorite place to get Bahn Mi is this tiny little stand called Banh Mi 25 that has the best sandwiches and the best prices around. Banh Mi is a traditional sandwich made on a baguette filled with pork and usually some pickled veggies like carrots and cucumbers. It’s delicious. Get all of this for about 1 USD. Pho is delicious soup filled with rice noodles, a beef broth, thin slices of beef, a bunch of Thai Basil, bean sprouts, a squeeze of fresh lime, and a couple of other mix ins depending on where you are eating. You will find these pho places all over. 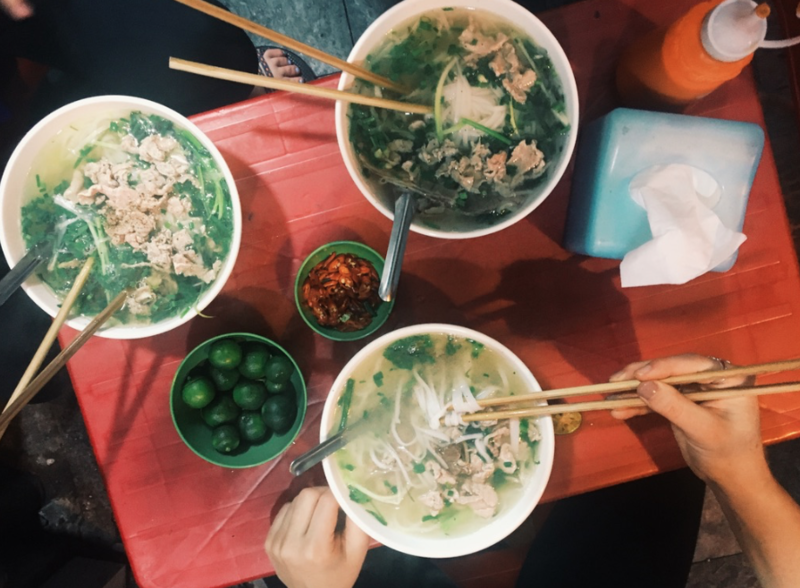 I ate my weigh in Pho when in Hanoi and did not ever regret slurping up a a bowl … or having seconds … or maybe even thirds. It’s worth it to eat in established restaurants like the recommendation below, but honestly, some of the best bowls of pho I had were little roadside stands. One at the end of the night market tucked away with some tables, and the other spot was on the corner of the street you head down to get these amazing buns (detailed below). Look for tiny tables and teeny blue plastic chairs and a group of happy locals slurping up bowls of pho on most street corners. * Best to go early for this place! It gets very crowded. 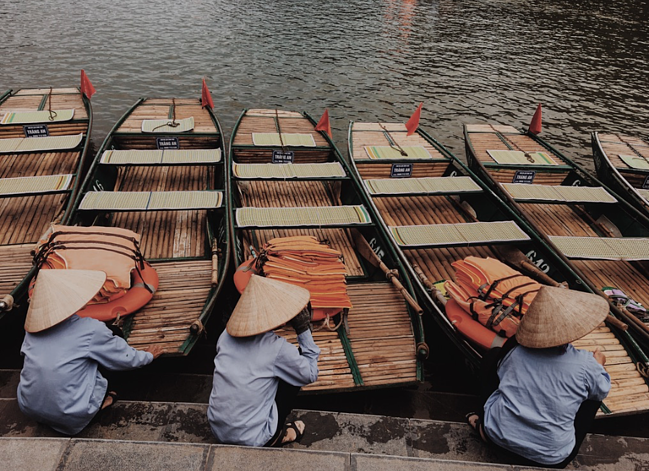 The city of Hanoi has enough to do to keep you busy for 2-3 days tops, but the real pull of the city is to adventure in some of the North’s most picturesque cities and spots. Below are a few to check out, but remember: Lots of hostels will have booking options if you would like to book once you arrive. The ideal day trip or half-day excursion for a group looking to walk around a picturesque part of the city and do a bit of art. 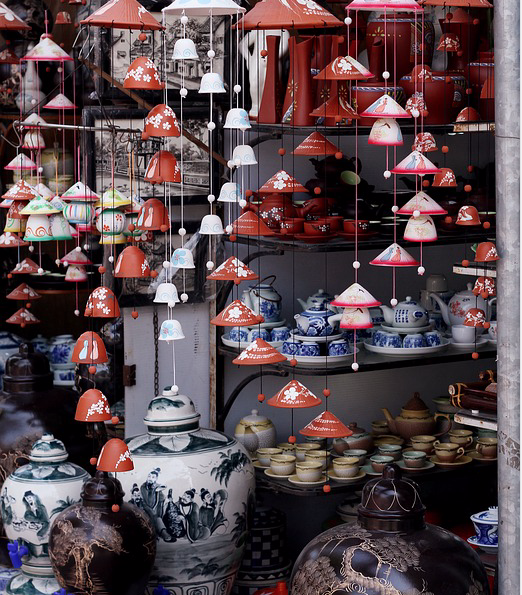 Bat Trang is one of the pottery capitals of Vietnam, so visiting lets you tour dozens and dozens of shops filled with the most stunning and intricate pottery. Ship fantastically huge vases home, or tuck a delicately painted bowl into your suitcase to bring home yourself. One group of ILP volunteers spent the day making their own pottery which turned out to be a total adventure. 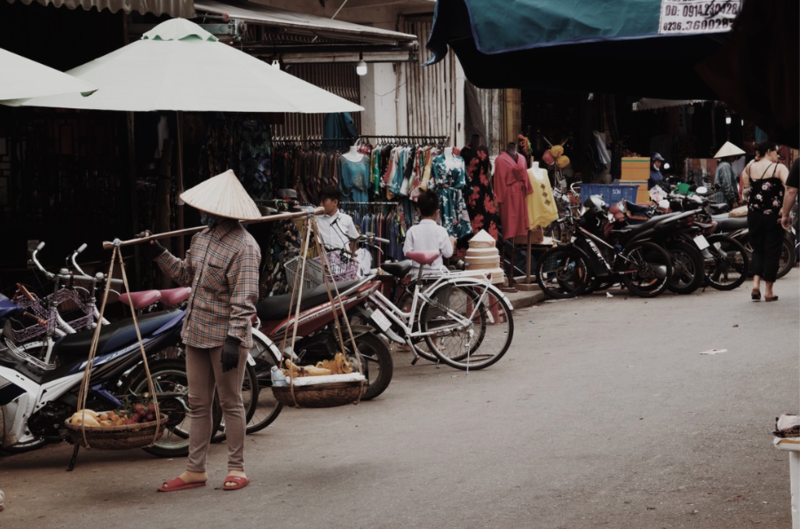 You’ll find a few pottery classes in Bat Trang if you just arrive and walk around, or you can find a specific address of shop. This ILP group walked into a shop and worked with a potter to craft their own pots and vases. So cool. Just so you know, it takes a couple of hours to craft your pot (which can be as inexpensive as $3-6) but you will need to come back the next day if you want the pot fired. One group tried to just bring back their creations back to their school to pack for home to get fired there, but they are much too fragile! Best to come back and pick up your fired piece of work. Hire a taxi or talk to your hostel about going out to Bat Trang for the day: it’s just 30 minutes or so out of Hanoi. It’ll take you around 4 hours to get to the coast so you can take a boat cruise out to the South China Sea to see the unreal Karst mountains shooting up out of the green-gray water. 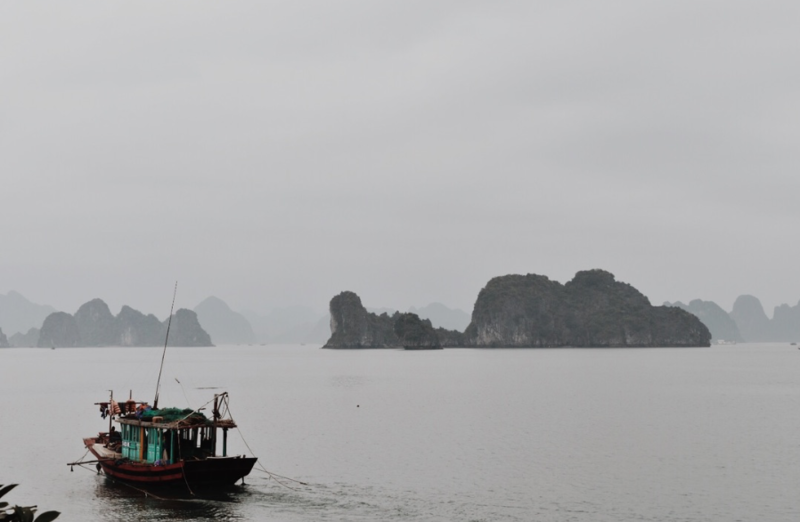 Ha Long Bay was a total stunner and something I’m so glad I made time for. You can do a day trip out to the bay but I really caution against this. Doing an overnight cruise (I did a 2 day, 1 night cruise) means getting deeper into the bay and seeing even more. It’s well worth the investment! Most cruises include all meals, excursions like kayaking through the karsts, visits to the beaches, etc. I booked with Cristina Diamond Cruises which was a bit of splurge, but I loved it. They also included pickup and drop off from Hanoi. Plus, this was my view in the mornings. Unreal. 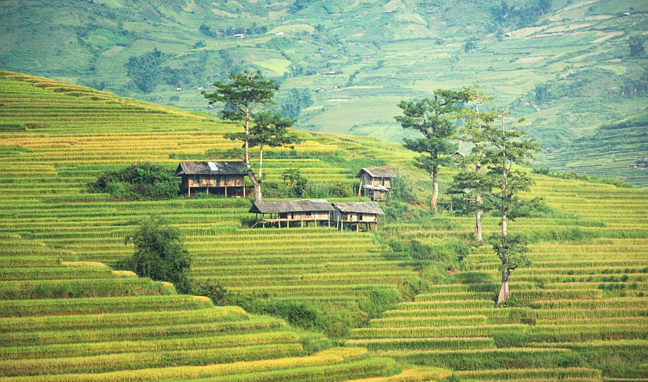 Take an overnight bus or train to the stacked and stunning rice terraces found in Sapa. One ILP group spent a day walking through the terraces and soaking up the sights. There isn't too much to do outside of the terraces, so it makes for a good weekend spot. Also good to know: There are tons of really cool home stays where you sleep and share meals in a local home, or there are several hostels you can sleep at. It gets rainy from June to September so while things will be green and vibrant, it’s also going to be wet and muddy. The late fall and winter are freezing cold (and can see snow), so March to May are the best times if you can swing it. Oh, if I had to pick a favorite part of my trip … Nihn Binh might take the cake. A gorgeously picturesque area of Northern Vietnam, Nihn Binh itself is a tiny town surrounded by the greenest rice patties and some of the most striking mountains. I spent three days here taking the Trang An boat tour, riding bikes to the Hoa Lu temple ruins, and just hanging out in the gorgeous scenery. It’s a couple hours outside of Hanoi and my hostel helped me book a van up there. I stayed at the Trang An Homestay which was so pretty (and had bomb banana pancakes for the free breakfast). Like any popular backpacker city, you have about a zillion choices when it comes to places to stay in Hanoi. Our volunteers have a knack for choosing affordable places with a helpful staff and a killer location. In general, most of these hostels will have pretty good hook ups for getting you around the northern part of Vietnam. The hostels I stayed at had tours to places like Sapa, Ha Long Bay, and vans up to Ninh Binh if you haven’t booked those arrangements beforehand. Comfy and clean bedrooms, a bomb free breakfast and a super helpful staff that helped me book a van to take up to the Trang Anh (which I highly recommend, by the way), I loved my stay at Old Quarter View so much I booked a couple of extra days here. It has a great location and a few other perks like a free city map to help you get around. This place is right by the night market and isn’t far from Hoan Kiem Lake … plus Hanoi Brother Inn & Travel had a good free breakfast and a very helpful staff who all spoke English very well. I’d taken this recommendation from a friend of mine and glad I stayed here for a night in Hanoi: the front desk helped us map out our day and call us a cab to take us to the Ho Chi Minh Mausoleum before catching a flight back home. This isn’t a hostel, but nice hotel to stay at if you have a bit more room in your budget. 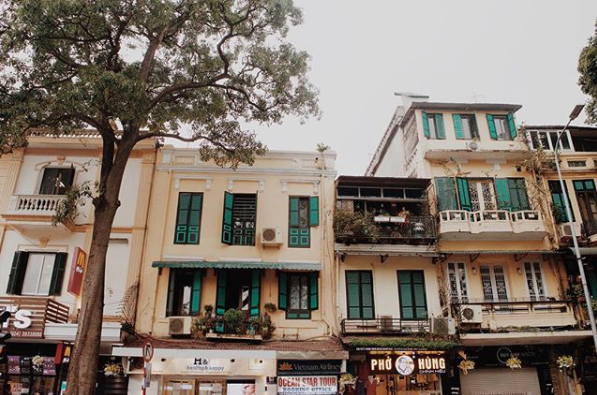 There’s a stellar view from the higher floors and the hotel does sit on a cute little street which is a fun addition, plus it’s a short walk from more places you’ll want to explore in Hanoi. Just so you know, this place doesn’t have an elevator so staying up on the upper levels will mean carting your luggage up a few floors. Get more information about the hotel here. American citizens MUST have a visa to visit Vietnam. You won’t be allowed on the plane to Vietnam without the right paperwork. Luckily the process is relatively simple, isn’t too expensive, and can be done online. Since ILP volunteers are planning their own vacations, it is up to you to make sure you have a visa and that it is processed correctly. 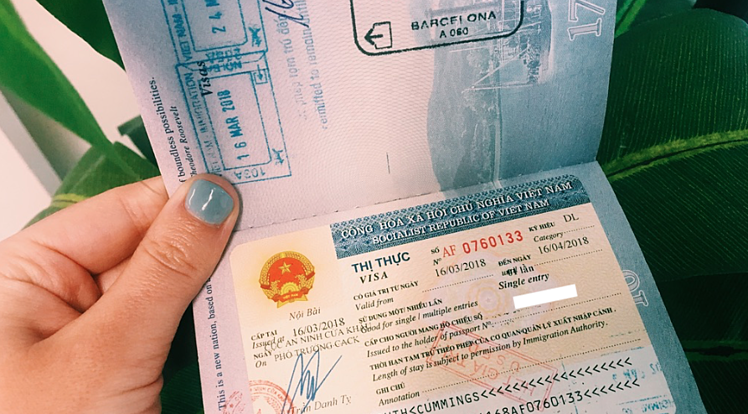 I used Vietnam Visa Choice for my visa. The site walks you through the process, but you’ll need to pay a fee ($20ish) and fill out a form with your name, passport number, the dates of your trip, etc. That letter gets processed in 1-6 days usually, then you’ll get an email later with paperwork you need to print out and bring with you. You will also need $25 US cash to pay for your visa stamping fee once you arrive in Vietnam, plus 2 passport pictures. Please check the current visa policy before leaving. While accurate when published, this information may be outdated. The best way to reach Hanoi, Vietnam from Thailand is flying into the Noi Bai International Airport (HAN). It’s about 27 miles outside of the city and supports both domestic and international flights. There are also a few good cafes at the airport and a surprisingly good exchange rate for swapping US cash to Vietnamese Dong: I swapped out about $50 US just to get me started and to make sure I had enough money to pay for the bus fare into the city rather than paying for an expensive taxi. Once you land, you’ll need to to get your visa processed, then go through customs and immigration. Everything is well-labeled in English but make sure you head to the VOA (visa on arrival) line where you’ll hand your documents and passport in. Sit in the waiting room until you see your name, country, ,and passport photo up on the screen. Go to the desk, pay the stamping fee, get your passport back and head through immigration. Now, you’re set! Taxis will be around $14 to the city center, or you can take the public bus which is crazy affordable. Outside of the terminal, find a bus station servicing #87. Pay the driver directly (it’s 35,000 Dong or $1.32 USD) and you’re on your way. It will take about 35 minutes to get to the city center. The Long Bien Bus Station is the best stop to get off at if you’re headed or staying near Old Town. As far as the city goes, downloading Google Maps was a lifesaver. You can pin locations and use the map offline to help you get around. Several spots are easily reached just by walking but if it’s too far or you’re not in the mood, you can also hail a cab to take you around. Prices are reasonable, especially if you’re splitting with 2-3 more people. 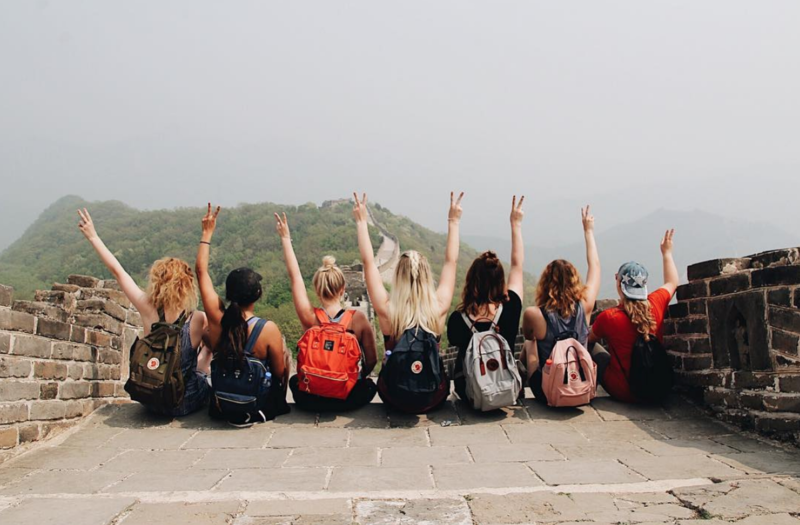 Spend a semester living in Thailand with vacation days to explore countries like Vietnam. ILP sends college-aged volunteers to do just that; you'll be teaching English, living, and traveling with a group for an entire semester. See what it's like to call Thailand home!